Pupils documented the lives of animals in captivity. They compared their findings with information available on the Internet and presented their results to younger pupils. The activity was participated by 8.A (15 pupils) in Natural Science classes under the topic Mammals. In the first phase, the pupils themselves divided into teams, identified their respective roles in the team, and chose a specific topic from the selection. 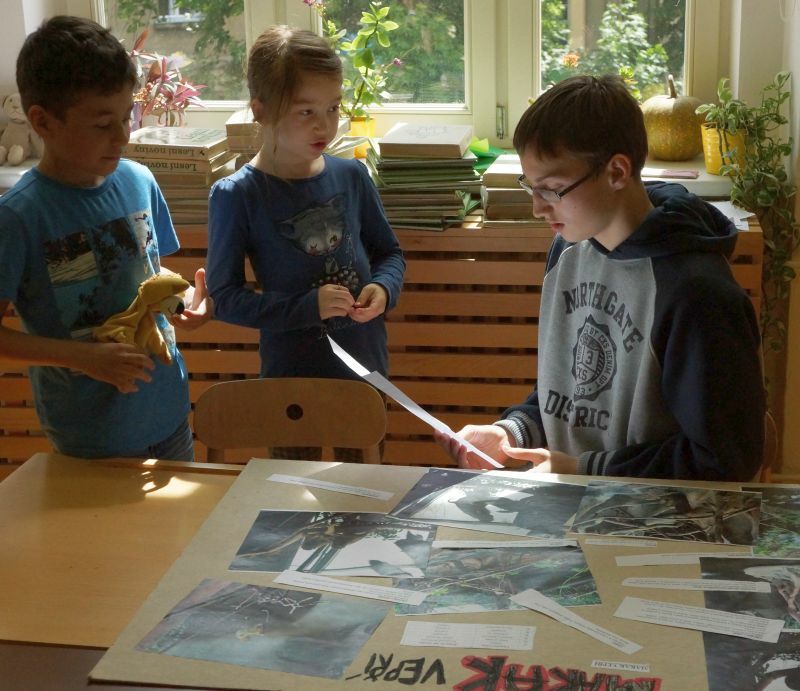 The pupils then worked in the field: they observed and studied the behaviour of mammals in the Prague Zoo, monitored and evaluated their living conditions in captivity, and their findings documented by digital cameras. In the second phase, the pupils searched theoretical information on the Internet, compared the results of their empirical observation with online source and drew conclusions (comparing their results with conclusions of experts). The results were presented in the form of large posters with text and visual elements. In the final phase of the activity, they tested their presentation in the class and then for first-graders, where they took charge of an entire lesson, including a test and questionnaire to find out benefits of their activities for the pupils of the first grade. In all phases of the activity, the pupils used digital technologies, computers with access to the Internet, cameras or scanners. What is the behaviour of mammals in captivity? What is the impact of the conditions at the zoo on their behaviour? Is your pet at home happy? Do you know how to take care of it? Are its living conditions in accordance with its needs? I didn’t know what exactly to speak about. I had problem writing something about the animal. I had to rewrite some part because it was deleted. We didn’t work with them. I learnt how to type quickly. I would add some questions. I wouldn’t change anything. Everything was OK. I learnt new facts about animals. I learnt more about animals.